Although workplace bullying may be a new concern for some employers, others are all too familiar with its perils. Before we discuss facts of bullying, let’s look at its role in the workplace today. While bullying is not only a company culture issue, it is also a major liability concern for employers. Several states have litigation pending that would make bullying unlawful; California leads the way with its recent passage of A.B. 2053. This Assembly Bill requires covered employers to include prevention of “abusive conduct” in their mandated harassment prevention programs for supervisors. At the HR Support Center, we expect to see may states follow California’s lead in the coming years, so while prevention of abusive conduct may not currently be required in your state, it is a best practice to prepare and implement anti-bullying programs in your organization. Bullying is not isolated to a select few industries, nor is it a rare occurrence in the workplace. In fact, twenty-seven percent of employees reported they were currently being bullied, or had been bullied previously, in their careers according to a recent survey by the Workplace Bullying Institute (WBI). In addition to exposing your organization to legal risks, bullying also causes a serious drain on workplace morale and ultimately employee productivity, which, of course, can damage your bottom line. Employees who feel bullied are more likely to miss work, for fear of being in the environment with the bully, and are also more likely to leave their jobs, leading to high turnover rates and the loss of good talent. So, what can your organization do to stop bullying and abusive conduct in the workplace? We recommend you learn the signs of workplace bullying and implement a policy to prevent it. What does bullying look like? It may surprise you to hear that workplace bullying doesn’t usually include shouting or other overt actions; it is typically done on a softer, but equally demoralizing scale. Bullying typically includes the following behaviors: unwarranted or invalid criticism, blame without factual justification, treating the bullied employee differently than the rest of the employees in a work group, or making the bullied employee the target of exclusion, social isolation, rumors and/or gossip. Does it encourage and support comradery, or does it create an environment that feeds on heavy competition? Does it welcome the opinions of staff-level employees, or does it make them feel hesitant to speak up and offer different viewpoints, favoring only the opinions of management? Does it give weight to complaints and then quickly investigate those internal complaints? Does it lead by example from the top down and consistently demonstrate appreciation for all employees? Is there an expectation that everyone will be treated fairly and with dignity? Once you’ve analyzed your workplace culture, we recommend you take some steps to correct any current concerns you uncover, as well as implement a future zero-tolerance policy for abusive conduct in the workplace. This policy will be best communicated to employees via your employee handbook. You will find a sample policy in the HR Support Center that we encourage you to download and customize for your organization. However, simply having a policy is not enough. You will want to ensure that employees understand the issue and the consequences for violation of your policy. The best way to generate awareness is to be sure employees are trained to recognize bullying behavior and know who to turn to for help if they feel they are being treated poorly and in violation of the policy. 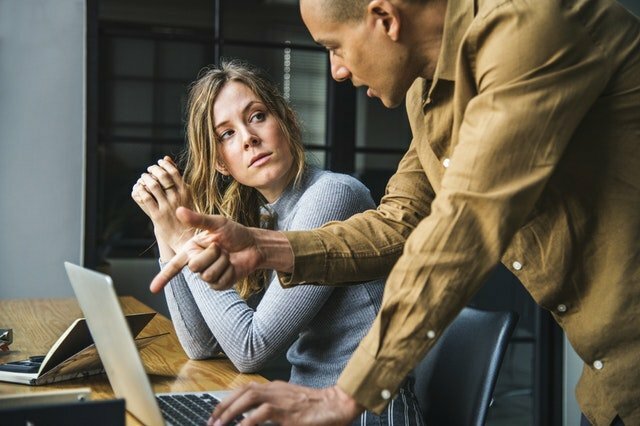 Since employees are more likely to turn to their immediate supervisors for help, we would recommend that once a policy is implemented, the organization trains all managers and supervisors on the parameters of the policy – making sure they understand and can communicate to employees the boundaries set forth by the policy. Supervisors should also be trained on the need to immediately report any reports of harassment, bullying, or inappropriate behavior to the Human Resources representative or other management figure. Finally, once a complaint has been made, it’s important that organization takes the allegations seriously and completes a thorough investigation. Doing so not only sends the message to other employees that such behavior will not be tolerated, but a complete and thoroughly documented investigation can be a useful tool in demonstrating that the organization operated in good faith toward its employees. This investigation documentation will show that the organization took immediate steps to address abusive conduct- and will prove vital if your organization were ever challenged regarding any of its actions. Recognizing the signs of bullying and abusive conduct in the workplace, is the first step to mitigating the risk of this behavior. Get the latest trends and compliance updates to keep you on top of HR and payroll, from AdvaPay Systems. In our newsletter email, you'll get a recap of what is going on in employee management, what trends are important for hiring, plus some fun stuff too. Sign up to check it out! As a leading provider of payroll and Human Resources based out of Birmingham, Alabama, we help growing businesses avoid the common hassles involved with HR and payroll processing. We are a local, veteran-owned small business that focuses on providing personalized customer service to other businesses in the Birmingham community. Copyright © 2017 AdvaPay Systems, LLC - All rights reserved.